Hi! I'm a bunny. 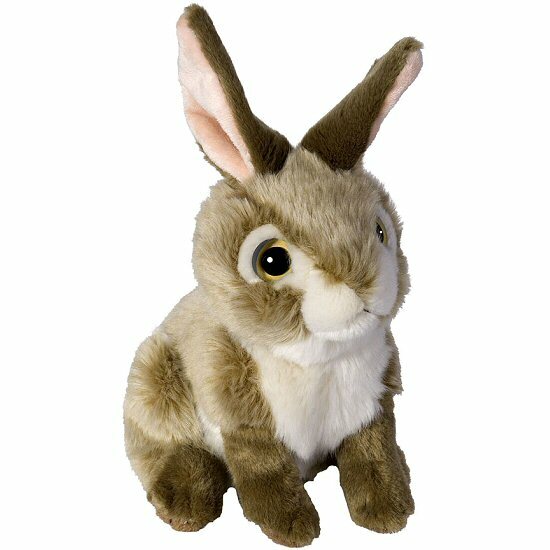 Actually, I am a rabbit, but people lovingly call me a bunny because I am so cuddlesome! Although my fur is so long and soft, when I was born, I had no fur at all and looked quite funny. I just love to eat my veggies... especially carrots! I'm a quiet animal, but if I am hurt or frightened, I can scream really loud! I make a great pet... so do take me home. A portion of the proceeds from the sale of this Wild Watchers bunny rabbit stuffed animal help support foundations for disadvantaged children and abandoned animals.